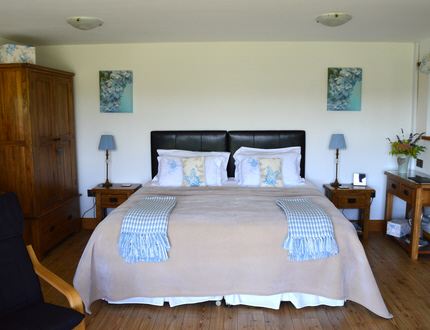 Your stay will be in a secluded peaceful haven in our double or twin en-suite ground floor rooms, with scenic views over the Welsh hills at Builth Wells. 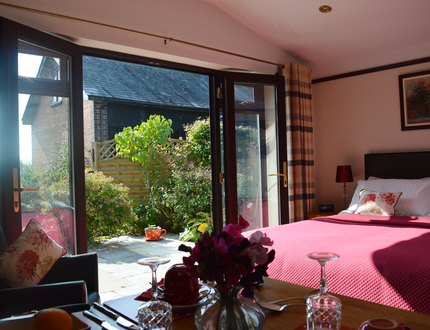 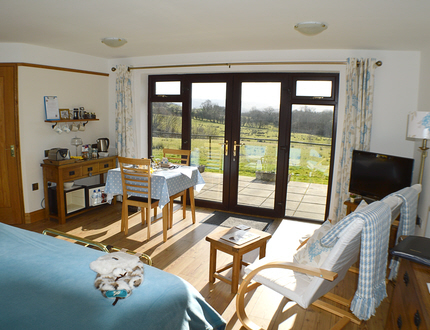 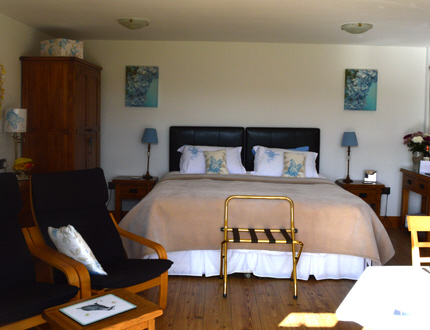 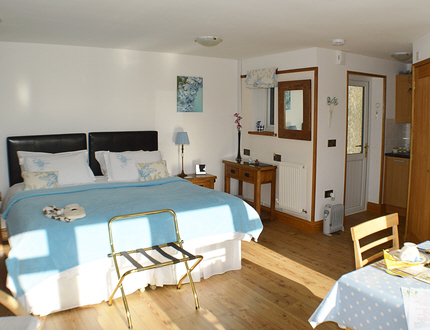 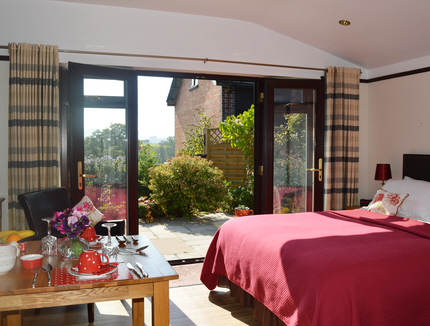 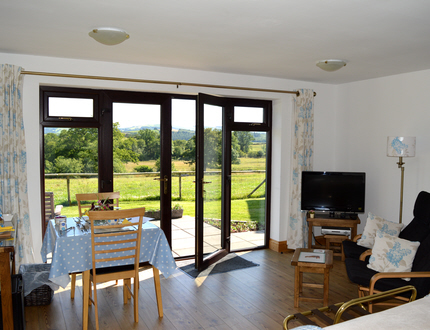 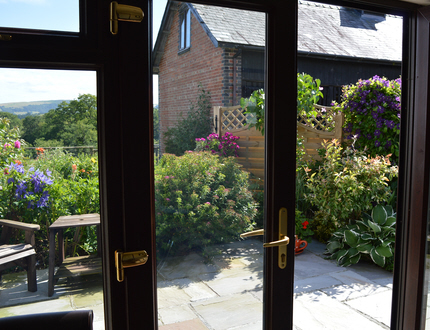 Both rooms have a private patio area with seating to relax in the sunshine, with access to your room at all times. 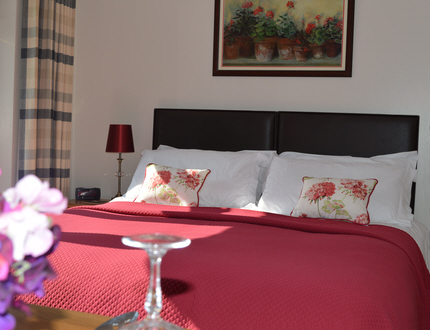 There is free parking and the rooms are serviced each morning of your stay. 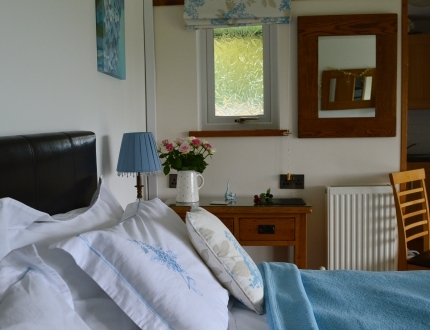 The Garden Room comprises a king-size double bed, en-suite shower room with a selection of toiletries, flat screen sky view T.V., free wifi, fridge & fresh flowers. 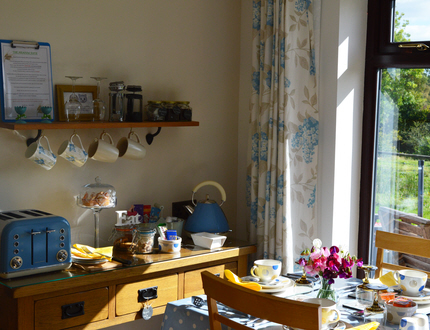 Your complimentary tray includes a selection of hot drinks, spring water, biscuits, chocolates, homemade cakes and a carafe of sherry. 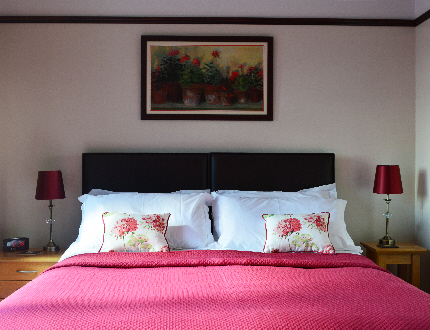 The Superior Meadow Suite comprises of a Superking Double or Twin Beds, large en-suite shower room, 32" Sky view flat screen T.V., free wifi, fridge, fresh flowers, a selection of fruit, complimentary tray with homemade cakes and a carafe of sherry and a seating area looking out on to outstanding views. 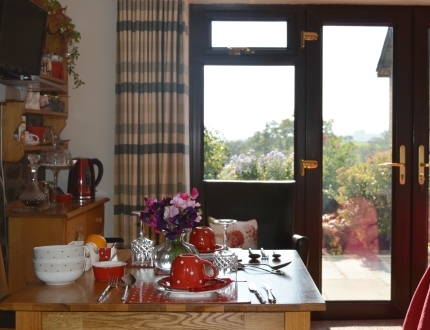 To make your stay more special & private, breakfast is served to your chosen room in the morning. 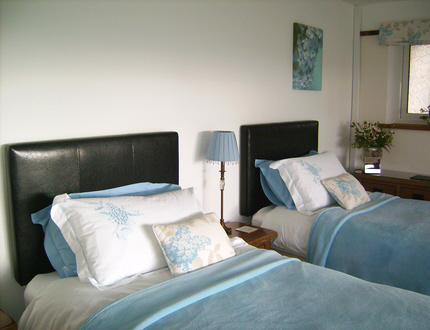 Rooms will be ready for your arrival after 3.30 pm.